It always seemed somewhat strange to me that Hook is considered one of Steven Spielberg's "B-list" titles. That meant it’s lumped in with lesser lights such as Amistad, Always, and Empire of the Sun. This makes little sense to me because Hook actually did quite well at the box office; it made $120 million, which may not approach the mega-bucks of E.T. or Jurassic Park but seems substantial enough to warrant a greater profile for the film. Because of this incomparable track record, Hook was supposed to be the big film of the Christmas 1991 season, but it couldn't even take the crown for just the winter. Disney's Beauty and the Beast raked in more than $171 million and left Hook in the dust. Ultimately, Hook only could rise to finish in fifth place for 1991, after Beast, Robin Hood: Prince of Thieves, Terminator 2 and The Silence of the Lambs. That was a pretty weak fate for a film with such a strong pedigree. Even if Hook had done much better at the box office, though, I still think it'd be regarded as a lesser film simply because it is a lesser film; this is the sight of Spielberg running on autopilot. While it's not his worst movie, Hook has to stand as one of Spielberg's most disappointing. 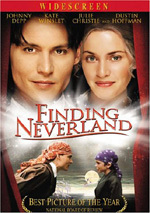 He had long told of his desire to make a version of Peter Pan, and now he had his shot, with a $70 million budget – huge by 1991 standards - and an all-star cast that included Robin Williams as Pan, Dustin Hoffman as Hook, and Julia Roberts as Tinkerbell. All of which proves the old saw about the whole being less than the sum of its parts. The detail that went into the sets and the entire production design is dazzling; clearly the crew went all-out to create a number of lavish and compelling settings. Overall, the acting really is quite good. Roberts seems fairly flat as Tinkerbell, but Williams does a terrific job as Peter. He takes a surprisingly complex role - since he has to play Peter as older and serious as well as "classic Pan" - and makes all aspects of it realistic and believable. Williams is even able to come across as awkward in a public speaking situation and can deliver jokes in a flat manner, something I would have felt was impossible for him. The film's climax is really well done, too. Those kinds of action bits are Spielberg's trademark, and he doesn't disappoint as he delivers a finale that gives the affair a rousing conclusion. The ending is a bit over the top, but that's to be expected and actually welcomed in this kind of film. As these past few paragraphs demonstrate, Hook has some positives. Unfortunately, negatives such as the film’s length heavily outweigh these. At more than two hours and 20 minutes, Hook is much too long and it moves at a snail's pace for the most part. Spielberg seems far too concerned with establishing the back-story, an issue that appears almost meaningless. 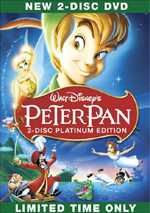 The audience is already familiar with most of the characters, and the plot's main twist - that Pan has grown up and become a serious adult - doesn't take an hour to explain. If I was so bored by what happened during much of the movie's first half, I can't imagine how bad it must be for younger kids. The kiddie problem here comes from the Benetton ad castoffs picked to play the Lost Boys. From the biggest to the smallest, they all share one characteristic: they're really annoying and they consistently bring down the film. These kids scream "Hollywood cute" so loudly that the sound drowns out any positives; when they were onscreen , all I could think was how much I hoped they'd leave. Hook isn't without its charms, especially if you can wade through the cutesy Lost Boys and the film's excess of exposition. Still, it remains a tremendous disappointment. 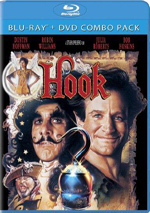 I wanted to like Hook when I saw it theatrically in 1991, I wanted to like Hook when I watched both of its DVD releases, and I wanted to like Hook when I watched the Blu-ray. Unfortunately, there's too little of consequence happening here. The movie has its moments but too few to make Hook anything more than an intermittently fun film. 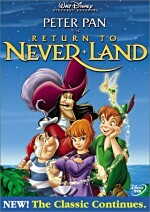 Hook appears in an aspect ratio of approximately 2.35:1 on this Blu-ray Disc. This was a consistently pleasing presentation. Sharpness seemed strong. Occasional wide shots suffered from a smidgen of softness, and effects images came with some inevitable sags, but the image was usually tight and well-defined. I saw no instances of jagged edges or moiré effects, and the film also seemed to lack edge enhancement. Print flaws played no real role in the proceedings. Some stock footage of an airplane showed a few specks, but otherwise this was a clean image. Colors looked vibrant and lush and displayed full saturation. This aspect of the picture worked especially well during the Lost Boys scenes, since they provided many situations with a variety of hues, but all parts of the film showed accurate and clean colors. Black levels generally seemed very good, and shadow detail usually appeared clear and appropriately deep; at times the image could seem overly dark, but most of these instances appeared to result from the original film, especially since the majority occurred in the low-lit situations at the start of the movie. The film used diffuse lighting there that came across well. Hook remained a very attractive image. The film’s DTS-HD MA 5.1 soundtrack seemed more than satisfactory. Imaging was generally full and broad, though I must admit I was surprised at how underused the rears were. For the most part, the surrounds provided John Williams' score with only occasional effects on display. That's not a perfect rule, of course, and some scenes presented very good material from the rears, but these examples didn't happen very often. How did the Blu-ray compare to the original DVD? Audio was bolder and more dynamic, while visuals seemed tighter and more vibrant. The Blu-ray marked a notable step up in quality, especially in terms of picture quality. The disc includes Previews for Soul Surfer and Zookeeper. No trailer for Hook - or any other extras – appear here. Hook remains a film that I really wish I could love but I can only moderately like at best. It simply possesses too many flaws to become something that even remotely compares to Spielberg’s finest work. The Blu-ray offers excellent visuals and very good audio but lacks supplements. The Blu-ray delivers a strong presentation of an inconsistent movie, though the continued absent of bonus features remains a disappointment.